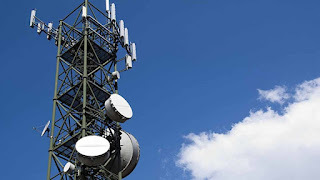 According to NCC, for Nigerians to enjoy superb Internet services, the country needs at least 70,000 to 80,000 telecommunication base transceiver stations (BTS). The implication of a fewer BTS is that apart from the country not been able to compete with other countries in terms of rolling out services such as 4G, 5G, Internet of Things (IoT), among others, subscribers will continue to groan under poor quality of service. Nigeria currently has over 230 million connected lines with 155 million active. Presenting a document titled: ‘Universal Access: The inevitable bridge for inclusive development’, Jinmi Oluanuiga, a member of the National Broadband Council, at a USPF organised forum in Lagos in 2016, revealed that already, about 14, 222 of the industry towers are owned by IHS, while 1,300 belong to Helios Towers of Nigeria. Oluanuiga disclosed that while IHS directly owned 4000 towers, MTN, 9,151 and Etisalat, 2,136 (are under IHS control). Airtel has 4,800, which is under American Towers’ supervision, while Globacom controls its own BTS. Explaining further, Danbatta said: “3G, 4G going to 5G networks are going to usher this country into smart applications, the IoT or the smart world and cities we are talking about.